Do you think it is possible to find out if two rabbits are related? Do they have a dna structure that can give results? Everytime I ask google I get a either a colour break down or bonding tips. Did find a message which was used in a reply but referred to dogs where a new foundland( think I have that right one of those big dogs) result showed he was a chihuahua. 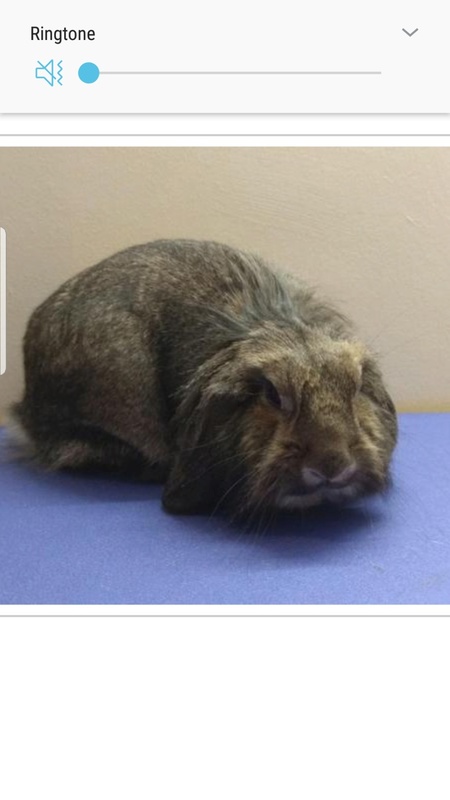 Looking at adopting a rabbit, she is the spit image of thundercracker. I know there a lot of variations of rabbits even in the same litter but whats the chances of two crossbreeds from different parents being exactly alike??? His mullet looks like hers when it long he has to get his cut due to his stomas in his ears. Or am I just imagining it????? That's a new one. I can only think of asking the RWAF their vet, Richard Saunders, will know if anyone does. Going to ask the edinburgh vet school in case by a rare chance any of their students are testing it. If that fails I will email richard saunders. 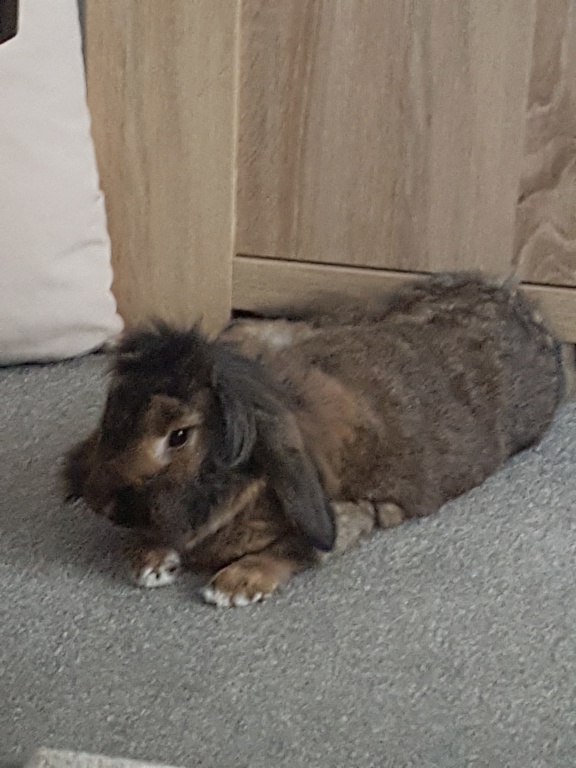 I have filled out the application for her, lets hope they think I am good bun parent. she is gorgeous hunni. please let us know what Richard Saunders says.